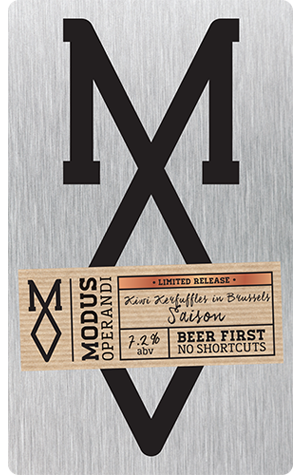 Despite the attention they get for their hoppy American beers, Modus Operandi has long had a thing for saisons – in fact, on day one of their brewery opening they poured two in the form of Pepper In The Rye and MOFOS, with more soon following. But the latest may well be their best yet. It’s called Kiwi Kerfuffles In Brussels and if you guessed that this means a Belgian saison yeast crossed with New Zealand hops, you’d be right. It throws out some bubblegum aromas at first but the big winner is the fruitiness, its tropical character coming at you through via a delightful dash of dry hopping. It’s a fairly big beer at 7.2 percent ABV though you wouldn’t know it as everything is hidden beneath a clean and dry finish. This is a slightly unusual but elegant beer that’s unlikely to be fashionable but is eminently enjoyable.